Depending on where you are in the world, beach season may be coming to an end, but it’s never too late to make sure you’re taking care of your skin when it’s hot out. You might be surprised by some of the easy, all-natural DIY hair and skincare solutions you already have at your fingertips. Here are the first of our series of all natural beauty tips that you will find through this week and next on Romy and the Bunnies. Prevention is your first line of defense against sun damage. Even if you’re going to be indoors, you should wear sunscreen. Use this rule: If your skin is going to be exposed to daylight, even if it’s coming in from the windows in your office or your bedroom, you should protect your skin and wear sunscreen. Also, if you just get into the habit of applying it during your morning skin prep ritual then eventually you’ll just do it automatically. Don’t forget to top it all off with a wide-brimmed hat for extra protection! It happens to the best of us. You’re at an all-day picnic in the park or are laying out on the beach for hours and when you get home you realize that your skin is red and inflamed. For extreme cases, you should consult a physician immediately. For mild cases of sunburn, there are many products you can pick up in the pharmacy to provide relief, but you can also turn to your fridge for some soothing botanical treatments. 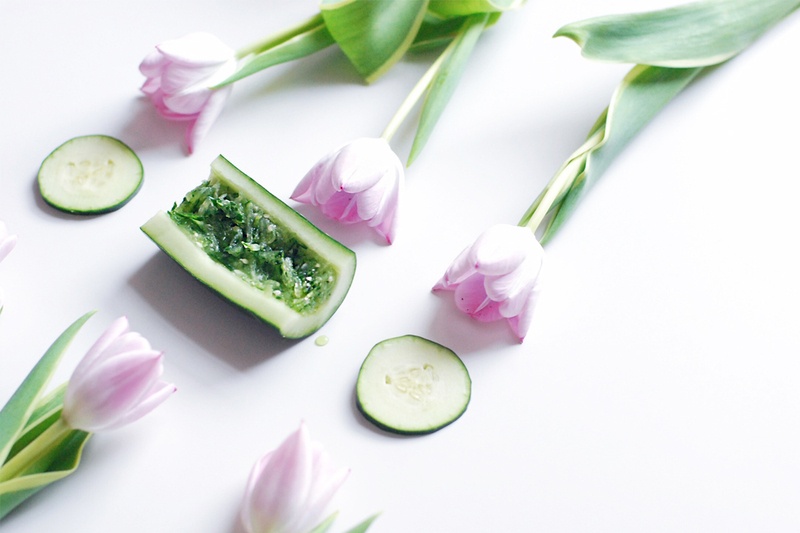 Take chilled cucumber, blend it into a paste, and apply the paste directly to the damaged area to help soothe the discomfort and reduce inflammation.